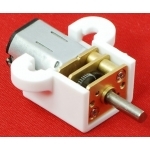 This compact bracket enables convenient mounting of popular, Sanyo-style miniature metal gearmotors. The white plastic bracket encloses the otherwise exposed gears, and the mounting tabs capture the nuts for easy installation. 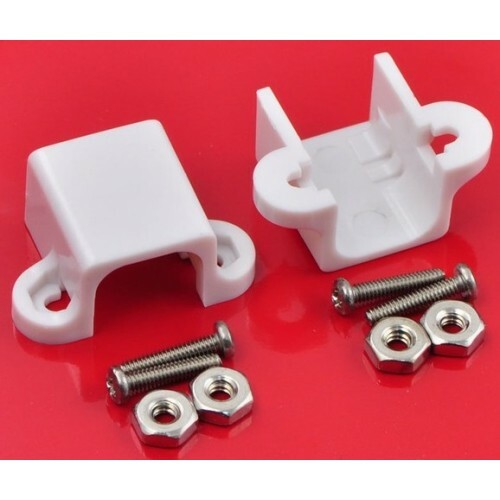 This version has mounting tabs that allow for use with the Pololu Wheel 42×19 mm The brackets are sold in pairs, and each bracket comes with two #2 screws and two nuts.